I created this PPT to go along with a Decibels Worksheet / Activity I created for my class (which can also be found in my products). 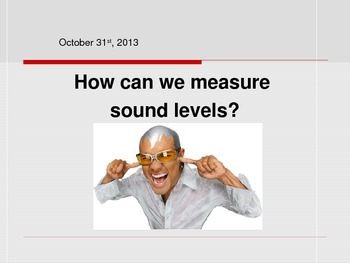 This Powerpoint was meant to introduce some simple vocabulary with sound and decibels. 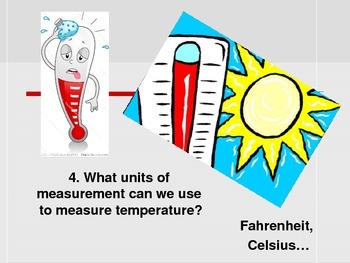 The first few slides of the PPT are a quiz that ask students how they can measure different things (Kilograms, centimeters, miles, cups, gallons, etc...). 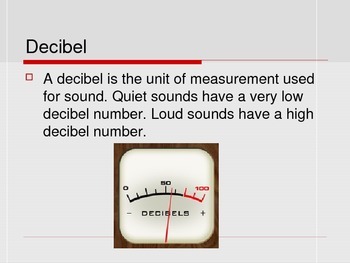 It then leads into What is a Decibel? 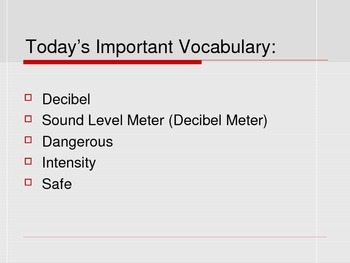 And it talks about decibel levels that are safe and decibel levels that are unsafe. It effectively shows the students different sounds and the corresponding decibel levels.